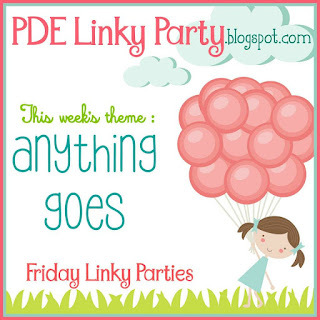 It's time for this weeks challenge over at PDE Linky Party where the challenge is always ANYTHING GOES!!! 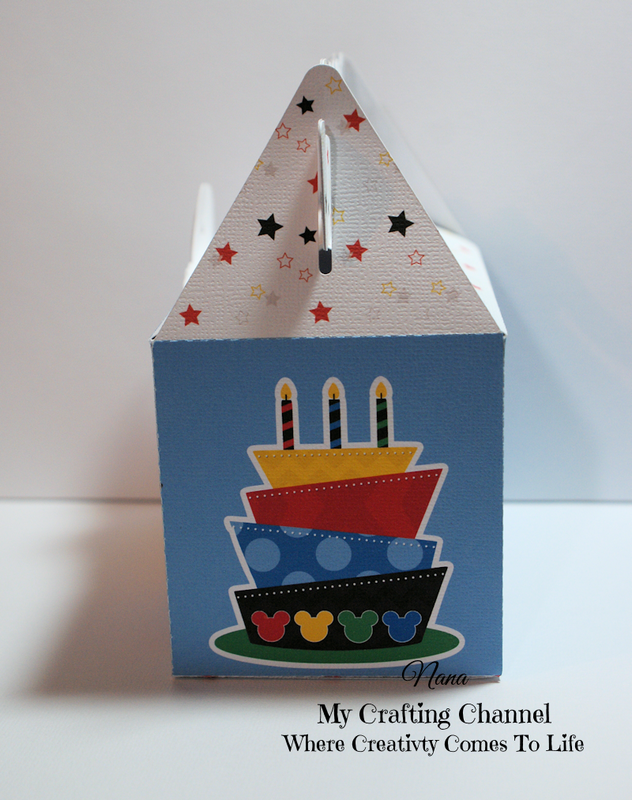 For this challenge I created this adorable Mickey Mouse Birthday treat box. Great for a boy or girl. Oh my goodness, Nana! This is so precious! I love the whole thing but especially how you kept it gender neutral for a girl or a boy. You certainly can work magic with plain white cardstock! Love it! Cute Mickey Mouse treat box!! Your treat box is absolutely adorable! I love Mickey, the papers are so perfect and this is definitely perfect for any kiddo! The Mickey ears banners is a great accent too! This is Adorable!! Love Mickey Mouse! Love all of the super cute images!! Adorable treat box! Everybody loves Mickey Mouse! As always, I love the thank you on the back of the box! 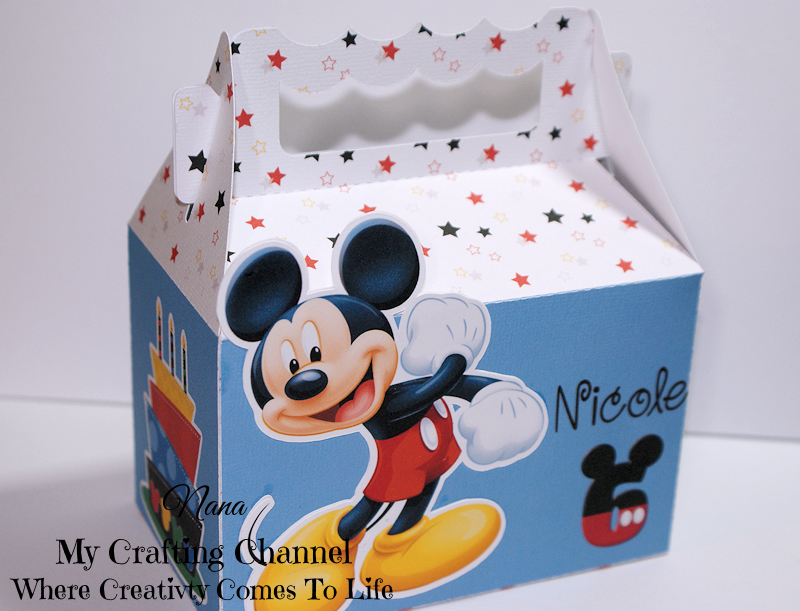 Super CUTE Mickey Mouse Treat box! Have a great weekend! 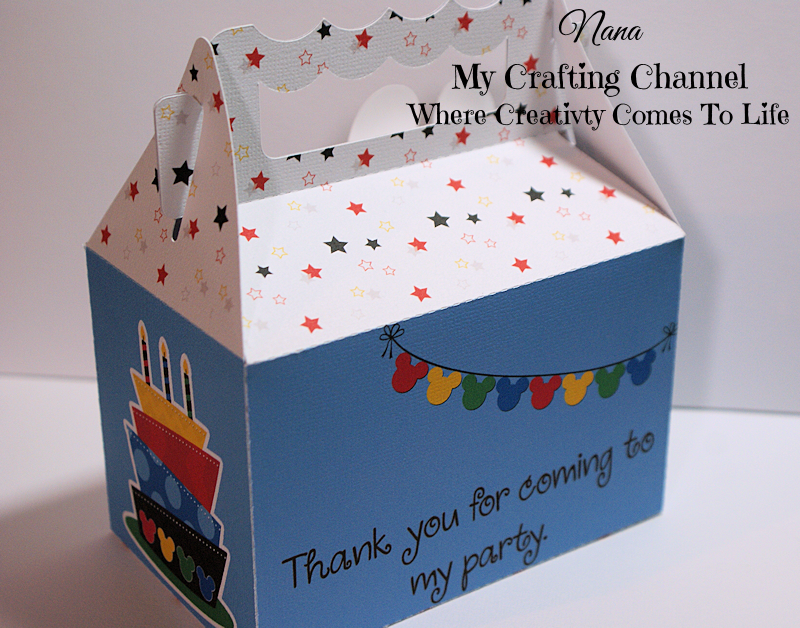 What a SUPER CUTE treat box!!! I love Mickey Mouse!! Have a great day. Who doesn't love Mickey Mouse?! This is super cute and so colorful, I love it! This is adorable!! Such an awesome idea!